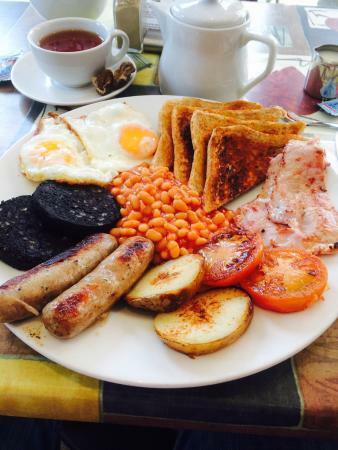 There aren't enough food, service, value or atmosphere ratings for Cafe 21, United Kingdom yet. Be one of the first to write a review! Light Lunch... a match day what do you expect Amazing eggs benedict and reasonably priced.Specials board changed daily. Another visit to Cafe 21 in Middlesbrough Town Centre. Variable menu with very friendly staff. Specials Board changed daily offering a variety of foods at reasonable prices. Another excellent meal at this town centre cafe. Friendly staff serving freshly made food at affordable prices. Specials board changed daily. Another visit to this Town centre cafe. Very clean and friendly staff. Have a specials board with various foods on offer at reasonable prices. I would recommend the Salmon salad. Very tasty and filling. Well worth a visit. Visited Bistro Type Cafe in Middlesbrough Town Centre. Friendly atmosphere and stall. On this occasion I had the fresh salmon salad which was very tasty. Reasonably priced. Specials Board at lunch times which varies daily. Well worth a visit. Another visit to cafe 21 for a light brunch. Very friendly run establishment serving fresh food. Specials board with various meals every day. Food reasonably priced. Well worth a visit. A friend recommended this Café and I wasn't disappointed. Staff were chatty and friendly The food took a while to cook but on a match day what do you expect Amazing eggs benedict and reasonably priced. Another visit to this Cafe and again had a meal from the specials board. Food freshly cooked to order. During busy times you may have to wait to be served but in my opinion well worth the wait. Another visit to this town centre cafe for Brunch with my wife. Light meal made to order. Friendly staff. Home made food cooked freshly to order on premise. Well worth a visit. Another excellent meal at cafe 21 situated in Middlesbrough Town Centre. Meal cooked fresh and served by friendly staff. Reasonably priced and well worth a visit. Get quick answers from Cafe 21 staff and past visitors. Do you open for breakfast on Sundays if so times please ! Sorry unable to answer your question. I am a customer but do not know their business hours.